The fall brings all sorts of activities to the farm, but I really look forward to one event imparticular. Our annual landlord appreciation dinner. 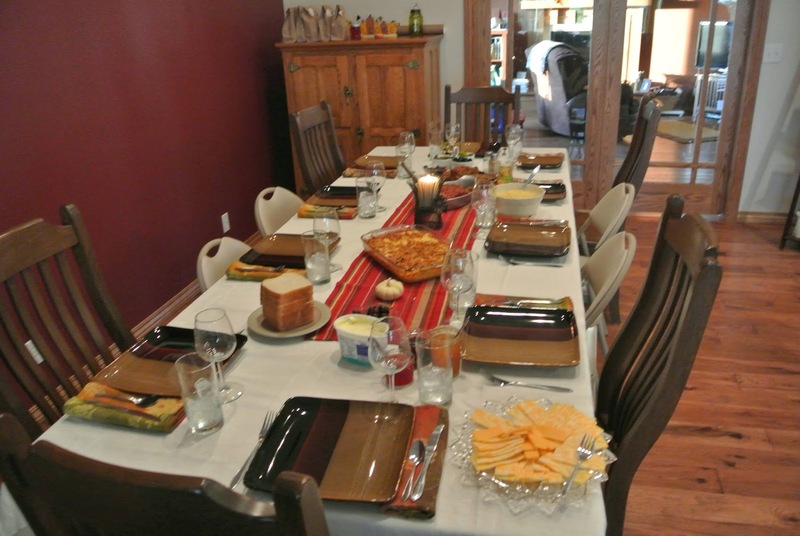 It allows us to hear stories of days gone by, about their lives, enjoy food and fellowship! 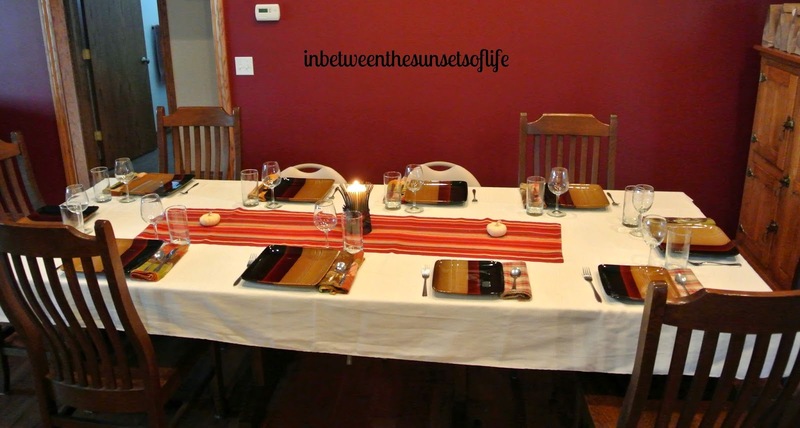 This year I chose a good home-cooked meal that is one of my husband's favorite meat dishes. 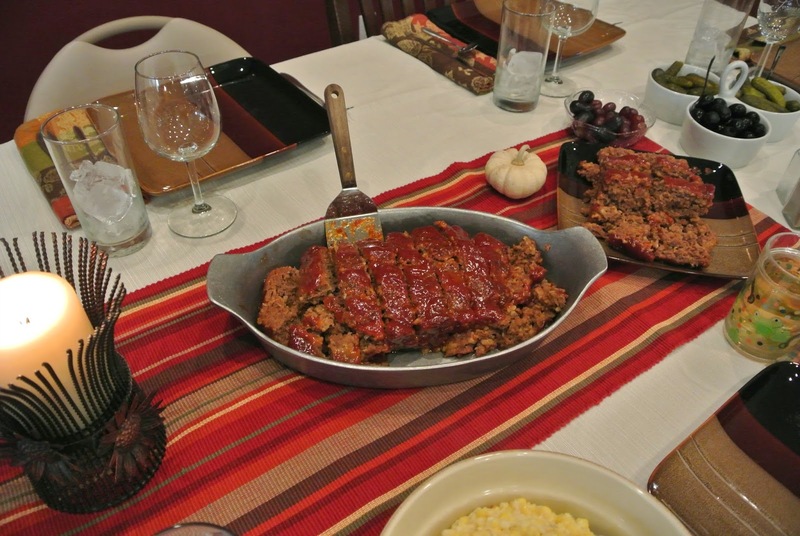 Although it was from an inexpensive cut of meat, we love this meatloaf recipe! To go with it we had potato casserole, crock pot corn, and a pumpkin dessert. I didn't get around to making the homemade bread I wanted to, but I think it went just fine using Sara Lee honey wheat bread! We had three types of homemade jam to go with it! Not all of our landlords were able to attend for various reasons. Some of our landlords live out of state such as Missouri and California. Since they are unable to attend, we normally send them a little something homemade from the Entertaining Kitchen! I hope they enjoy it and perhaps someday be able to attend our event! 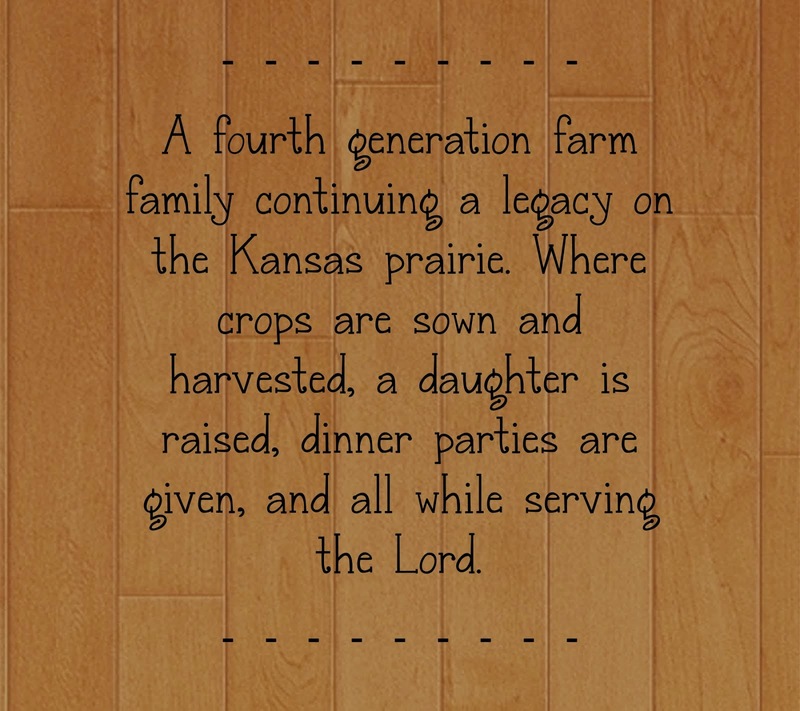 In our area of Kansas most of the land that is leased to others has been in those families for many years. We feel privileged they have chosen to allow us to farm the ground that is their family legacy. Some of the land that Milton and I farm was farmed by his Dad before us. So that means our family has been farming some of the ground over fifty years! As farmers, we care for the land whether it is owned by us or not, as if it were our own. Farm ground isn't cheap and we know that without landlord's we might not be able to farm like we do. So this small token of our appreciation each year is one way we show them we value them. We hope they walk away feeling that we are authentic and care about not only their land, but them as well. 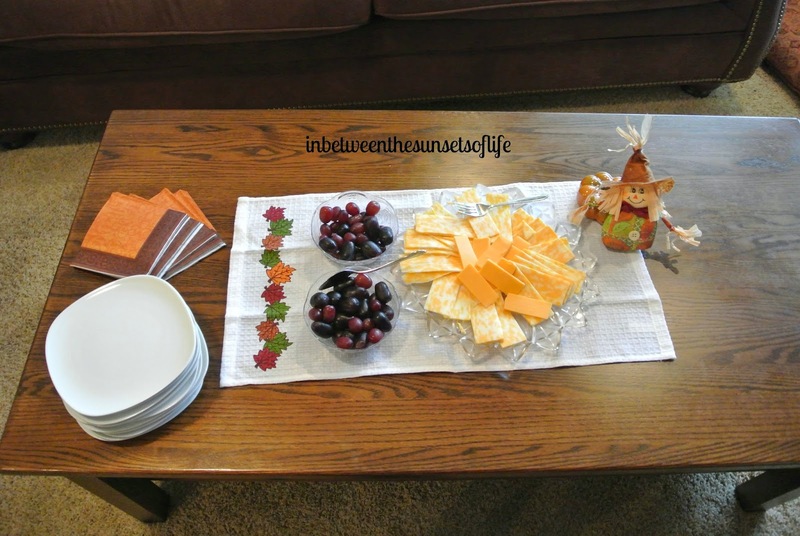 We had good food, conversation, and we always send them home with a party favor. 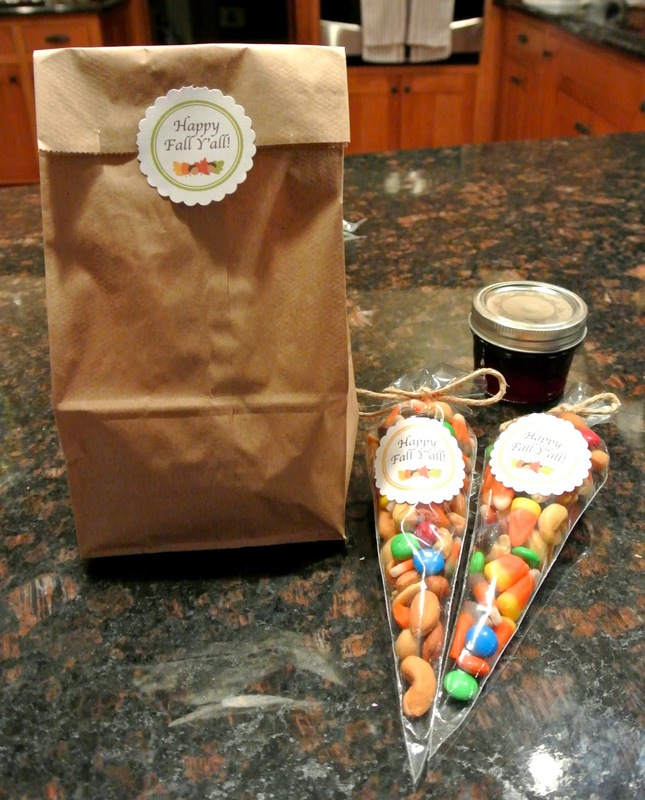 This year PV and I made some trail mix sleeves with Happy Fall Y'ALL stickers I printed from Pinterest. We threw in a small jar of jam as well! We had grapes and cheese before our meal. Nothing too fancy here folks! As we close out this post, we want to once again thank those that allow us to farm their ground. To care for it and carry on our family legacy in farming. 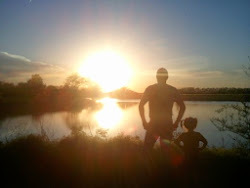 Even if you don't farm, please join us in thanking others in providing your life with splendor.